The majority of adults in the United States are overweight or obese, and obesity is a leading cause of death. Published scientific reports show that non-operative methods have not been effective in achieving significant long-term weight loss in severely obese individuals. In recent years, society has shown increased awareness of the need for the treatment and prevention of obesity. Advances in technology and modern medicine have given those people a chance to have a longer and healthier life. Bariatric surgery has proven to be the only effective intervention for weight loss in the morbidly obese. “While it’s always best to lose weight through a healthy diet and regular physical activity, weight loss (bariatric) surgery may be the only real long-term solution for those who have been struggling with chronic obesity for years,” says Shyam Dahiya, M.D., a surgeon at Lakewood Regional Medical Center’s Bariatric Surgery Program. Dahiya, a board-certified general and laparoscopic surgeon with more than 26 years of experience, has perfected the most advanced method of bariatric surgery, the Dahiya Vertical Micropouch. Laparoscopic gastric bypass surgery makes four or five small, half-inch incisions while surgeons view the operation on a television monitor. Psychologists will counsel patients prior to surgery to help prepare them for a lifetime commitment. A team of medical specialists is also available at Lakewood Regional to assist patients in the months after surgery, including nurses, internists, anesthesiologists, cardiologists, gastroenterologists, registered dieticians, plastic surgeons, and registered physical therapists. As obesity rates creep skyward, so do the number of Americans turning to surgery as a weight loss tool. Although today’s bariatric surgery is safer and more effective than earlier versions, the procedure is not an instant cure. Reserved only for the severely obese (those who tip the scales at 100 pounds or more over their normal body weight), bariatric surgery is a drastic step and patients must make radical, lifelong dietary changes, and permanent weight loss is not guaranteed. Still, a growing number of doctors are recommending bariatric surgery for severely obese patients who find themselves at wits’ end about weight loss. In its clinical guidelines for obesity treatment, the National Institute of Health supports the use of bariatric surgery in the severely obese, citing studies that show the procedure often alleviates or eliminates many obesity-related conditions. A Granite City, Illinois woman has become the first patient in the country to undergo a new obesity procedure that can restrict the size of the stomach without an incision. Inserting instruments through Carrie Williamson's mouth and down her throat, doctors at Barnes-Jewish Hospital on Wednesday created a small pouch in her stomach that will make her feel full after eating only a small amount of food. The procedure was performed as part of the TOGA (transoral gastroplasty) Pivotal Trial, a multicenter national study that is evaluating the investigational, nonsurgical procedure. "This is a shift in the way we approach the surgical treatment of obesity," said Dr. J. Christopher Eagon, a Washington University bariatric surgeon. "If this technique provides results close to those achieved with more traditional surgery, it may be an option for people who need to lose a great deal of weight but don't want to have surgery." In the TOGA procedure, doctors insert a set of flexible stapling devices through the mouth and into the stomach. Then, watching through a scope, they use the staplers to create a restrictive pouch to help limit food intake. In the traditional surgery, surgeons work through incisions in the abdomen. Between February 2006 and July 2007, 47 patients who were an average of 120 pounds overweight had the TOGA procedure in a pilot study at medical centers in Mexico and Belgium. After a year, they had lost an average of 40 percent of their excess weight. "That's not as great a loss as we see with gastric bypass surgery, which is still the gold standard for weight-loss procedures," said Dr. Sreenivasa Jonnalagadda, the co-principal investigator at Washington University. "The key benefits ... are quicker recovery period, shortened hospital stay, decreased risk of complications and an incision-free procedure. And if the restrictive pouch becomes bigger over time, as has been the experience with some obesity surgery patients, it may be possible in the future to further decrease the size of pouch with this new generation of devices." Williamson's procedure was done under general anesthesia and required an overnight stay at Barnes-Jewish Hospital for observation. Eventually, Eagon and Jonnalagadda expect it could be done on an outpatient basis under sedation, depending on the results of the study. The current study will involve at least 275 patients at centers across the country. Washington University will enroll at least 27 volunteers. Those eligible must be 18 to 60 years old, at least 100 pounds overweight and have no history of heart attack, stroke, chest pain or severe reflux disease. Lighter patients may be considered if they have type 2 diabetes or high blood pressure. Because she was the first, Williamson knew she was getting the actual treatment, but during the study, one of every three volunteers will receive only anesthesia and an examination of the stomach, not the procedure itself. However, these "control" patients will be offered the TOGA procedure after 12 months if it proves effective. Doctors will evaluate weight loss along with related health problems such as diabetes, cholesterol and blood pressure. "In patients undergoing gastric bypass surgery, it's common to see blood lipids and blood glucose levels normalize in the days after surgery, even before they lose any weight," Eagon said. "We may see similar benefits from this procedure, but we need to test that hypothesis." An obese father of two died after suffering complications from surgery to help reduce his weight, a coroner has ruled. Gary Cooper, 48, of Ashton-under-Lyme, Manchester, died five weeks after having gastric bypass surgery last October. The "gentle giant", who was believed to have weighed around 26 stone, had the NHS-funded operation at the private Alexandra Hospital, Cheadle, on October 14 last year. Mr Cooper was released from hospital four days later despite being breathless and in agony, the inquest at Stockport Magistrates' Court heard. The following day, he was rushed to Tameside General Hospital after his condition deteriorated and, the next day, he had an emergency operation to repair two leaks in his stomach. Nine days later, he had a second operation to repair a third leak and, after a brief spell in intensive care, appeared to be recovering well. However, on November 22, the day before he was due to be released and the date of his wife Sonia's birthday, he collapsed and died. Coroner John Pollard said he had doubts about the way the risks of surgery were explained to Mr Cooper by his surgeon, Bart Decadt. He said: "I am satisfied that these risks were discussed, but I am left with a remaining doubt as to whether they were perhaps addressed by Mr Decadt in a rather light-hearted way and the real risk may not have had as firm an impression in the mind of Gary Cooper as ought to have been the case to enable him to make a fully considered and informed decision." Mr Pollard said he intended to ask the Alexandra Hospital to review its patient discharge policy and to report back to him. It may be the closest thing to a cure for type-2 diabetes -- gastric bypass surgery. Currently, the procedure is only performed for major weight loss. But one surgeon hopes to prove that a similar surgery could help non-obese diabetics. ABC's Brad Kloza introduces us to one diabetes patient who's determined to have the surgery. 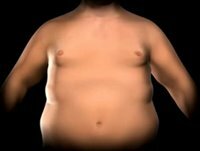 Performing gastric bypass surgery to reduce the weight of morbidly obese patients using a laparoscopic method, rather than the conventional more invasive "open" abdominal method, reduces postoperative complications, the need for a second operation, and shortens hospital stays, new research shows. Nevertheless, laparoscopic gastric bypass is more expensive. Obesity surgery, also called bariatric surgery, is growing in popularity and more and more of these operations are being done using a laparoscope, note co-authors Dr. Wendy E. Weller, from the University at Albany in New York, and Dr. Carl Rosati, from Albany Medical Center. This is done by placing one or more small incisions in the abdomen, through which a hollow tube is inserted. This allows very small instruments to be inserted to perform the gastric bypass. The entire procedure is visualized on a screen. In contrast, the more invasive "open" procedure involves making an incision to open the abdomen so the procedure can be performed. The current study, reported in the Annals of Surgery, involved an analysis of data from 19,156 subjects who underwent gastric bypass surgery in 2005 and were logged in the Nationwide Inpatient Sample, the largest all-payer inpatient database in the U.S.
Slightly less than 75 percent of the patients underwent laparoscopic gastric bypass, the report indicates. Laparoscopic gastric bypass was linked to a reduced risk of several complications. With open surgery, the risk of pulmonary complications was increased by 92 percent, for cardiovascular complications it was 54 percent, for sepsis, a serious system-wide infection, the risk was more than doubled and the risk of anastomotic leak, leakage from the operative site, 32 percent higher. On average, performing laparoscopic rather than open gastric bypass reduced the hospital stay by about 1 day. The average total charges were similar for the two procedures, but median total charges were significantly higher with laparoscopic gastric bypass: $30,033 vs. $28,107 respectively. After accounting for various patient and hospital factors, laparoscopic surgical patients were less likely than their open-surgery counterparts to require reoperation, the investigators found. While these findings suggest some advantages with the laparoscopic operation, "most reassuring for the bariatric surgery community is that the hospital outcomes were excellent overall in both the laparoscopic and open procedures," Dr. Michael G. Sarr, from the Mayo Clinic in Rochester, Minnesota, comments in a related editorial. Doctors at Lahey Clinic are investigating a new device that may prove a non-surgical alternative to gastric bypass and a route for resolving type 2 diabetes -- a disease that plagues nearly one in 10 American adults and nearly 250 million people around the world. The EndoBarrier Gastrointestinal Liner -- a two-foot plastic sleeve with a nickel-titanium anchor at one end that adheres to the soft tissue in the duodenum -- nestles within the first two feet of the small intestine, allowing food to pass through a portion of the tract without being absorbed. The effect mimics gastric bypass -- a procedure that reduces stomach size and surgically reroutes first few feet of the small intestine -- but without going under the knife. It's currently being tested in 40 gastric bypass patients at four U.S. medical centers, including Lahey, who are required to lose weight before surgery. There are few options for the nearly 70 million American adults who are either obese or morbidly obese, defined as a BMI of 35 and 40, respectively. They're often beyond making dietary changes, and exercise -- given the physical limitations of their size -- is often out of the question. For many, it's surgery or facing life with the debilitating effects of obesity -- everything from heart disease to cancer, depression to diabetes. Obesity is considered the second leading cause of preventable death in the U.S., after smoking. popular -- one study found a six-fold increase in the surgeries between 1998 and 2002 -- Lahey surgeon Dmitry Nepomnayshy said roughly one percent of obese people eventually choose it. About 200,000 Americans had the surgery in 2007. "A lot of people are afraid, and rightfully so," said Nepomnayshy, the chief investigator in the EndoBarrier trial. "There's pain and suffering associated with surgery, risk of complications, even though it's the most effective treatment for obesity. But obesity is dragging down our health care system like a big anchor. Right now (other than surgery), all we can tell you is go out and exercise, eat right. This is another tool for treatment, another option." Inserted through the mouth while the patient is under general anesthesia, the EndoBarrier is nudged into place and then deployed into the intestine like an unraveled parachute. The procedure takes 30 minutes. Patients are kept on a liquid diet for a week, purees for another, finally progressing to normal meals thereafter. "Percentage-wise, the device isn't covering a big portion of the small intestine," explained Nepomnayshy, "but the results are impressive and we think it's because it's the area -- that first part -- where the absorption of nutrients takes place." While there's not complete scientific agreement on how the body processes food, most doctors agree that the first couple of feet of intestine are critical both for nutrient absorption and spurring hormonal shifts that stimulate the pancreas to produce insulin. The FDA has approved the device for a 12-week period, and patients in the trial have lost between 11 and 26 pounds. The next stage, said spokesman Jonathan Hartmann from Lexington-based GI Dynamics, will be to test the device's efficacy over three, six and 12 months. There are no plans, Hartmann added, to ever permanently implant the EndoBarrier. Though the device requires further testing, Nepomnayshy called the device promising. "Right now, obesity is one of the biggest health problems out there, and not just obesity itself but the diseases it causes -- cancer, diabetes, joint pain," he said. "People not choosing surgery still need help; we have to offer them something else. This is an example of something that's down the road that may just help them." It's arguably one of the most controversial weight loss options currently available -- gastric bypass surgery. When it works, patients often lose hundreds of pounds that they would be hard pressed to get rid of in other ways. When it doesn't work, it can lead to serious illness or death. 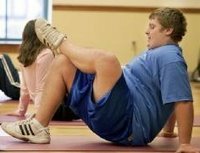 Cincinnati Children's Hospital is one of five running a 10-year study of the procedure and its effectiveness on a segment of the population that often feels the brunt of weight shame -- teenagers. "No one likes to see teenagers get to this point of this level of obesity that they can't go to school, they don't have friends," Dr. Meg Zeller said. "Their medical health resembles an adult's medical health, but the surgery and the weight loss that follows can alter that trajectory." "We are seeing kids with average weight of nearly 400 pounds. The range is 250 to 650," Dr. Thomas Inge said. Kylie Crovo said she can tell you about the benefits. She came to Children's Hospital at age 15 weighing 255 pounds. Now 17, she's lost 110 pounds in 18 months. "It just feels great to live life not having to worry about any potential medical problems," she said. Inge said he knows the procedure has its critics, especially when it involves teenagers. "I think the average person who is hearing about weight loss surgery for teenagers and thinks, 'Oh my gosh, what are (they) thinking?' are not able to put themselves in the shoes of the people we are seeing," he said. Amanda Munson has lost 100 pounds so far. "The study means to me, basically I'm helping everyone else. We can give more information to other people," she said. Doctors said they will follow all the patients over the next 10 years to study the long-term effects of the procedure.